Occupational therapists offer valuable treatment for increasing independence and productivity, whether an older adult is affected by illness, experiencing memory loss, or has sustained an injury. After knocking on his door and asking permission to come in, I introduced myself to a new resident at Bishop Wicke Health and Rehabilitation Center, where I serve as the Director of Spiritual Life. 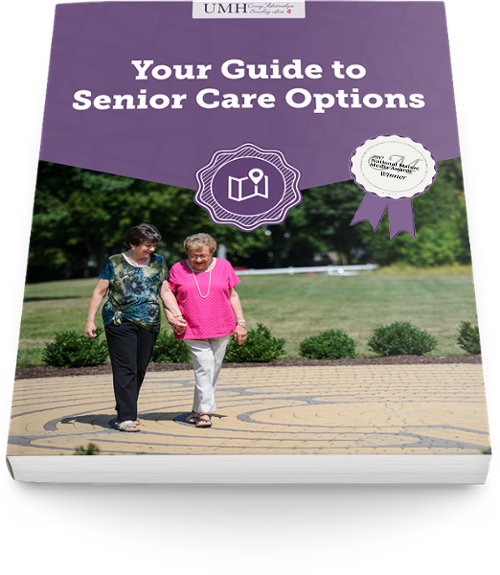 Change is often necessary, but that doesn’t mean it’s easy especially when it comes to helping your aging loved one transition to an assisted living community. Read on to learn some ways to help seniors manage anxiety and embrace the many benefits of this maintenance-free lifestyle. Stress is a natural part of life; we all experience it at one point or another. However, chronic stress can have serious health implications -- particularly for older adults. Some years ago we took our nearly teenaged son to the doctor. We did so because he was complaining of aches and pains all over his body. "I Got Out Of The Shower"
Do you know or care for someone diagnosed with Alzheimer’s disease or a related dementia? Maintaining a healthy weight is an important part of reducing chronic disease, maintaining independence, and achieving comprehensive wellness. The relaxing and restorative power of music is amazingly illustrated in the lives of seniors suffering from Alzheimer’s disease and dementia.